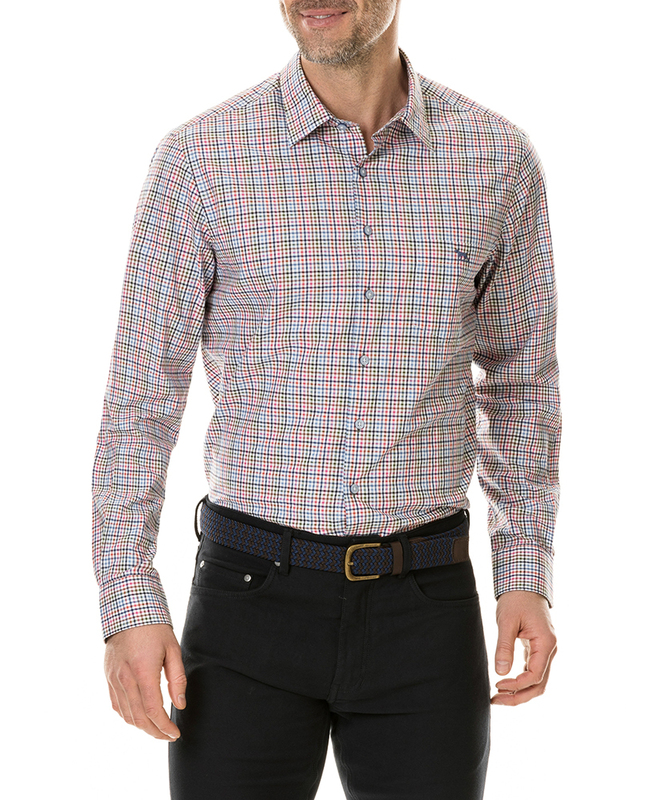 A long-sleeve multi check shirt, in an Italian fabric. The unique fabric of this shirt features both poplin and twill structures, providing the fabric precise colour and a textured dimension. Crafted in premium cotton, which remains soft even after years of washing and ironing. Accented with a spread collar with removable collar stays, premium mother-of-pearl buttons, and adjustable rounded cuffs.